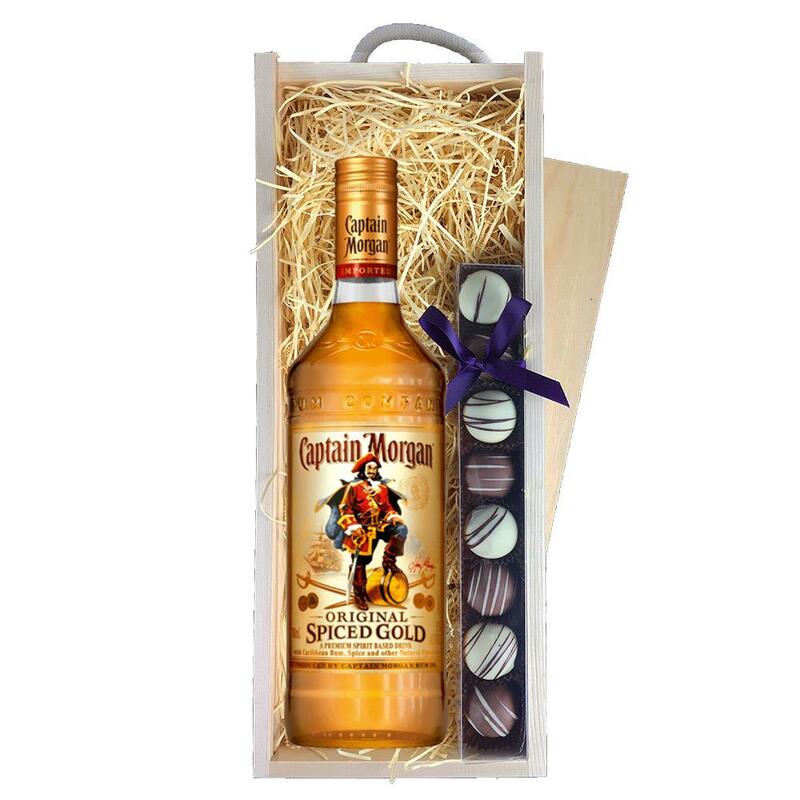 A single bottle of Captain Morgan's Spiced Rum and a single strip of fine Hand Made Truffles (110g) Presented in a wooden gift box with sliding lid and lined with wood wool with a Gift Card for your personal message. Captain Morgan's Spiced Rum A blend of golden rum with mellow spices of Cassia and Vanilla giving it a distinctive and appealing flavour. Easy to mix and smooth to drink. Enjoy with cola lemonade or orange juice & ice.